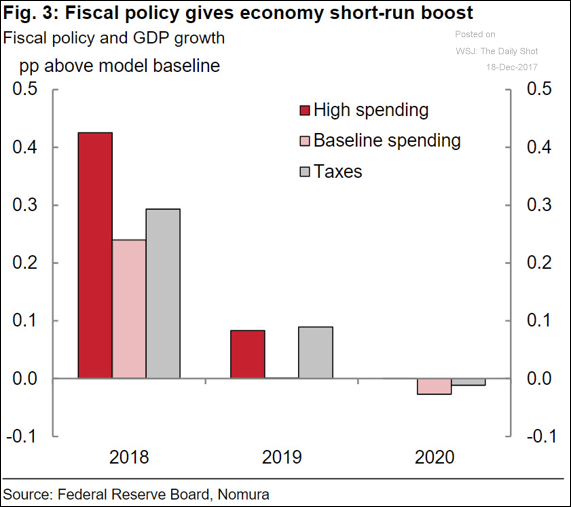 The United States: What’s the impact of the US fiscal stimulus on economic growth? 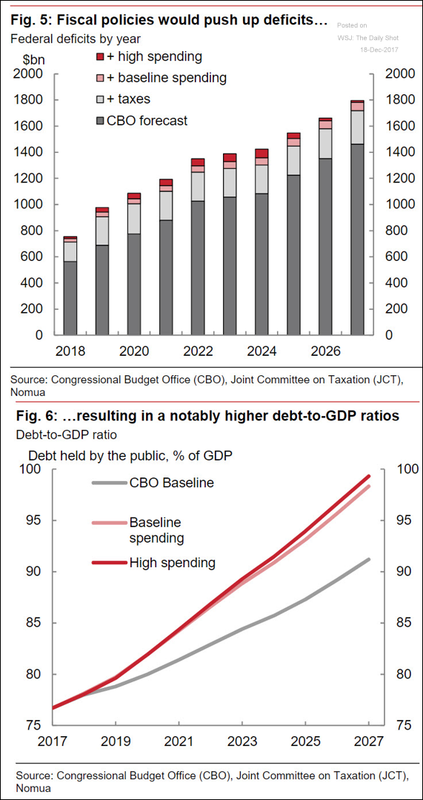 What effect will this stimulus have on the federal deficit and debt? 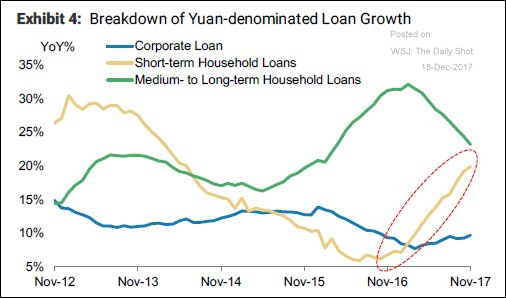 China: It appears that China’s households are shifting toward short-term financing (encouraged by their banks). 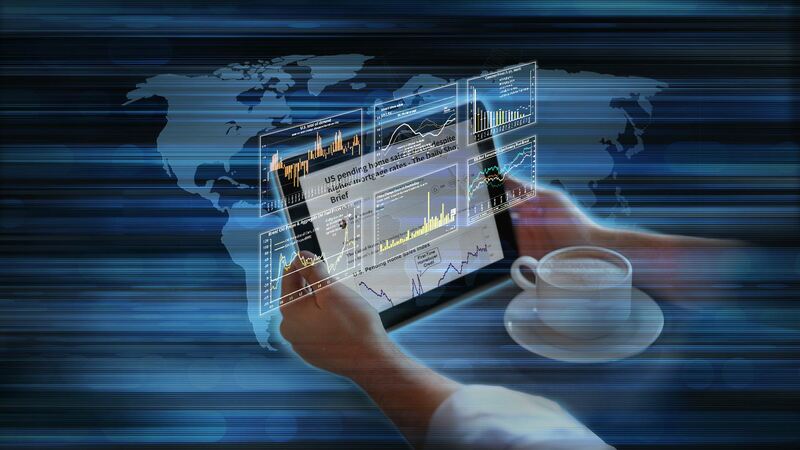 This will not end well. 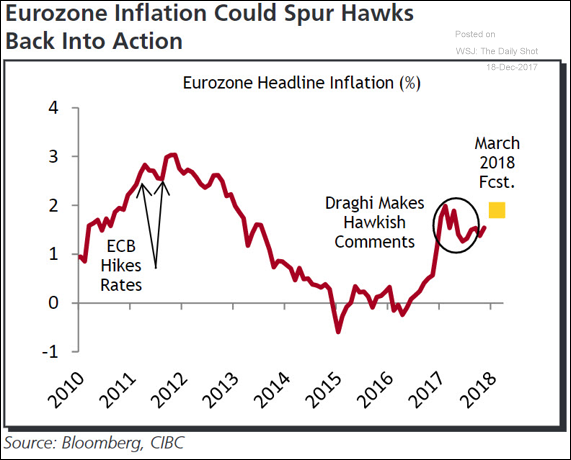 The Eurozone: Some economists are forecasting a pickup in the euro area inflation. 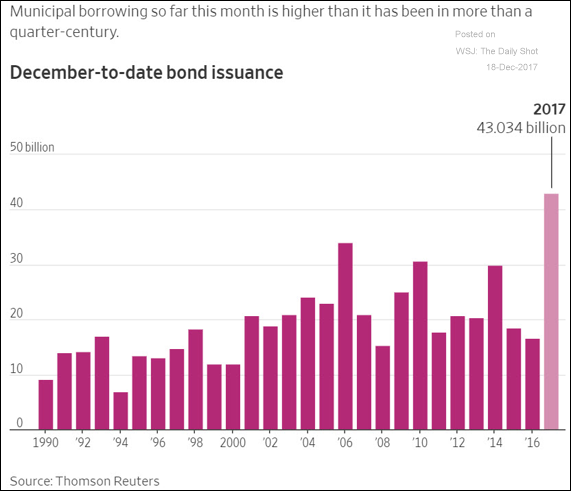 Credit: Muni bond issuance spikes ahead of the new tax law. 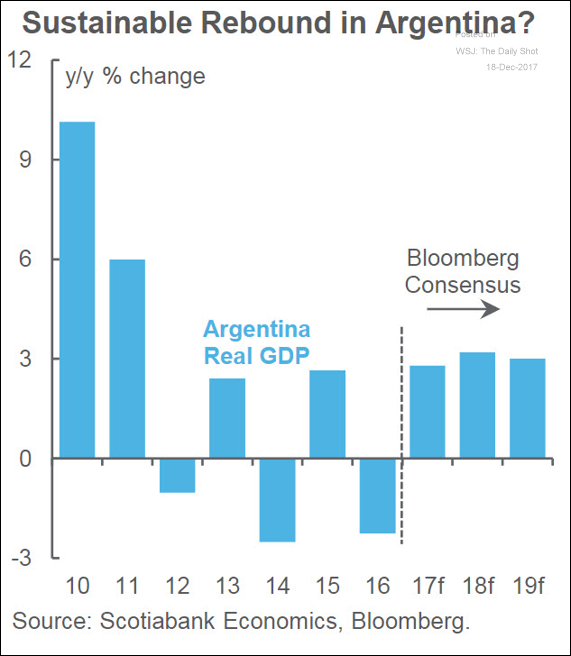 Emerging Markets: Economists expect a stabilization of growth in Argentina. 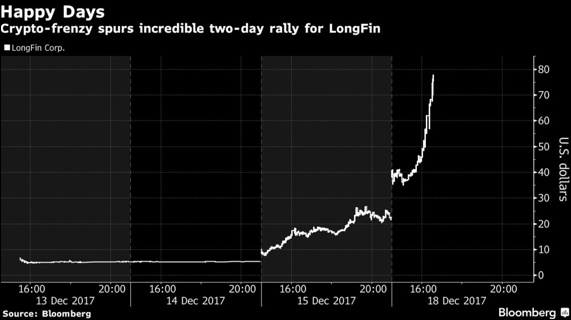 Bitcoin: A small fintech stock jumped 2,400% after saying it’s a “crypto company”. 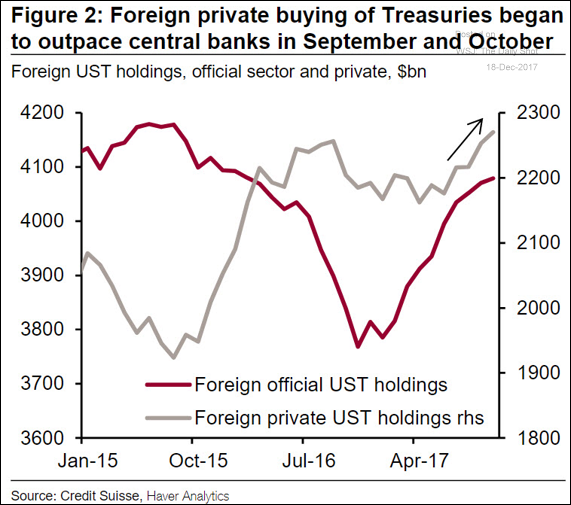 Rates: Foreign private-sector investors are increasing their purchases of Treasuries faster than foreign central banks. 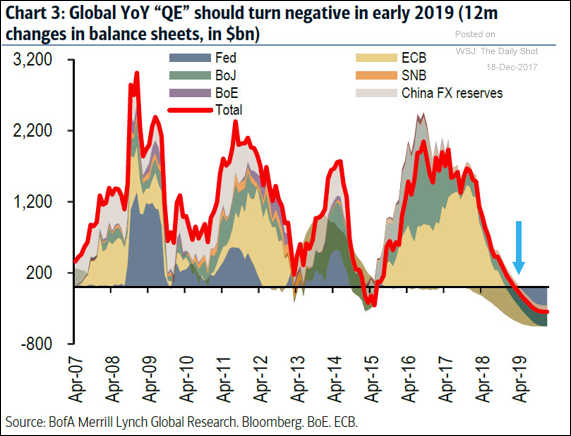 Global Developments: The global quantitative easing will turn into tightening in early 2019. 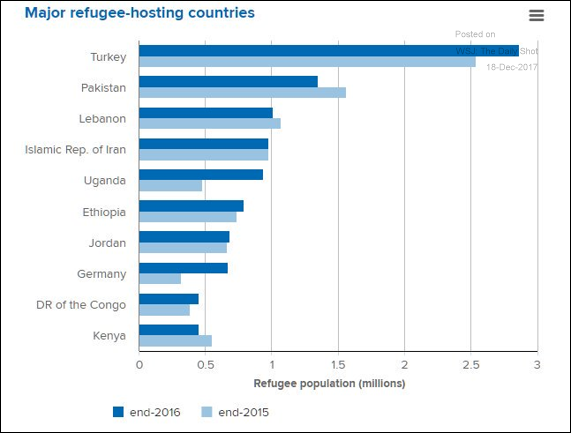 Food for Thought: Countries taking in most refugees.